This Page is devoted to publish and keep visitors posted of meaningful events, achievements and other news about the author of the blog and his legal services. Jason Tian has recently partnered with another 11 partners in setting up a new law firm called “Landing Law Offices” which is headquartered in Shanghai, China. The firm is striving to stand out of the legal industry in China and in the world as a leading firm for serving Chinese investments in overseas market, riding the tide of China One Belt One Road initiative. Currently, Landing Law Offices has set up our branch offices in USA, India, Iran, Philippines, Cambodia, Myanmar, Kenya, Nigeria with more to come soon. In the meantime, the vision of Landing Law Offices is shared internationally and we have been entertaining legal professionals from UK and France who expressed their wishes to join Landing. Jason Tian is now retained by the French luxury shoes maker Christian Loutoutin for advising on the legal implications on China Cyber Security Law and China Consumer Protection Law to improve their already great compliance with China laws. On May 24th, upon request from the Arlington Colleague of Business of The University of Texas, Jason Tian just gave a lecture on China’s business environment in terms of legal landscape and cultural differences that may often perplex foreign investors in China, in Dentons Shanghai Office. The students, the future entrepreneurs of the next generation, showed a great deal of interests in gaining understanding of doing business in China, the world second largest economy. Jason Tian and his team was recently hired by Logon Architecture in Shanghai as legal counsel to provide legal support for its daily operation in China. Jason Tian was lately hired by an Australian client in selling their villa house in Xi Jiao Zhuang Yuan, a high-end property located in western part of Changning District. Jason Tian was lately hired by a client in selling his unique property located in the heart of Shanghai, China. By the heart of Shanghai, I mean the old “French Concession Area”, an area where the most properties are designated by Shanghai government to be kept as of historic value, and where the most elite Chinese and foreign people cluster. Exactly, the lane house is located in Xing Guo Road. The property is kept in good conditions and has been re-decorated by installing heating and water system. The owners are a foreign couple having good taste for arts and antiques. The asking price is at RMB 32 million. ON March 3, Mr. Guo, the head of policy-making department of Shanghai Municipal Land and Zoning Bureau was invited by Mr. Tian to Dacheng Law Firm Shanghai Office to give a lecture on the current administration practice and future possible reforms with regard to rural non-agricultural lands in Shanghai, against the backdrop of the reform guidelines laid down by China new leadership. Mr. Guo spoke about the relatively conservative approach (compared the local practice in Guangdong province) of using rural non-agricultural lands in Shanghai, an approach that tried to keep the administration of rural land in compliance with current land administration rules without going too far. The lecture gave a clearer picture about the difference between rules on the book and practice in reality in the area of land management in Shanghai. In other words, investors using lands in China shall spend much more time on communicating with local officials in order to make sure that their usage of land is acceptable. Lawyers cannot just rely on the book to advise clients in respect of use of rural land. On the morning of December 19, 2013, Mr. Tian was invited to join the panel discussion before a group of MBA students from UC Irvine at Grand Central Hotel Shanghai. Among the panelists are Nick Dowdy, a supply chain consultant from Clean Energy Associates Limited and Thomas L. Ward, president from PIM China Ltd. During the discussion, the panelists share their ideas about doing business in China, cultural role in doing business in China, market access into Chinese market and future of China with the students. The students are keen and ardent to know about China, and raising various questions related to businesses, investments in China. Jason Tian, as the only Chinese panelist, spoke about doing business in China from legal and cultural perspective. In October 2013, Jason Tian was hired by a UK client in selling his luxury property located in Pudong Area. The property is valued at RMB ten millions. Mr. Tian will be taking care of the whole process of sale as well as repatriation of sale proceeds back to client’s overseas bank account. Early July, Mr. Tian is retained by a new corporate client, The Executive Centre (website: www.executivecentre.com.cn ), for a one year legal counsel services. TEC has successfully built itself in the Asian market as a leading provider of first-class serviced offices for businesses. It now operates 51 office centers in the Asian pacific region and all such centres are situated in Class A office buildings in a certain city like Beijing and Shanghai. Mr. Tian will help the client in managing its daily operation in terms of legal matters. 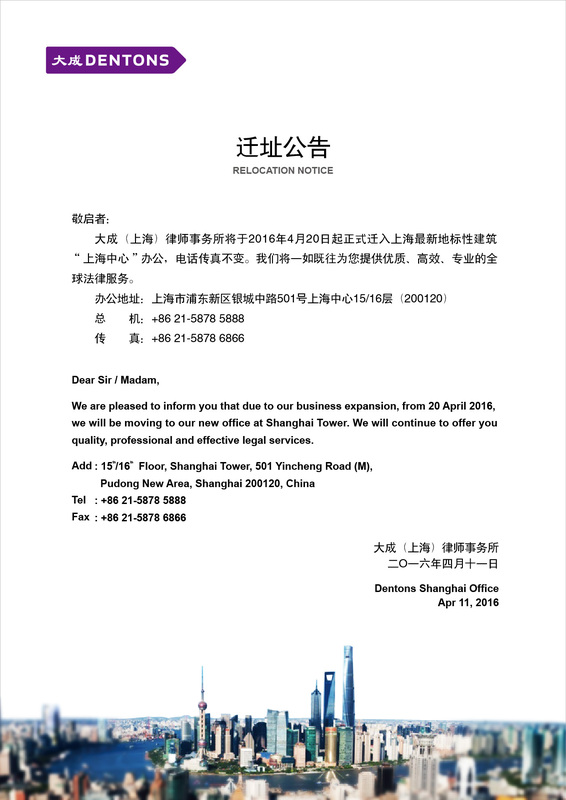 In May 2013, Mr. Tian’s annual legal counsel contract with SlamBall China was renewed for another year till May 2014, a token of good work relationship with the client and a recognition of Mr. Tian’s past legal service to this client. SlamBall China, after one year endeavour in China to market its business and build its image, has seen a clear positive feedback from the market with an increasing number of customers willing to pay for a show of SlamBall sports in their commercial events. Mr. Tian has helped one of his clients, a foreign invested company in Shanghai, in reshuffling their management team in Shanghai by firing a handful of people that have apparently diverged from corporate objectives. In particular, the China head is dismissed for not complying with operation policies laid down by headquarter which incompliance has been discovered to have resulted in improper benefits to the China head which is forbidden by the company policies. We are delighted to announce that Mr. Tian and his teammate Ms. Wang have just been appointed by HUFCOR China as their legal counsel in advising the company on their employment issues and restructuring of their investment portfolio in China. HUFCOR is the world leader in flexible space management by providing operable partitions, movable walls and glass wall partitions, accordion doors and associated folding doors for creating flexible spaces and acoustic separation. Mr. Tian is recently retained by Actelion Company that is a biopharmaceutical company headquartered in Allschwil/Basel, Switzerland, focusing on the discovery, development and commercialization of innovative treatments to serve high unmet medical needs, to advise on their cooperation project with China Medical Doctors Association in improving the quality of Chinese doctor’s diagnosis and treatment of the pulmonary arterial hypertension disease in China. Announcement of Victory. In respect of the inheritance matter in which Mr. Tian is retained by one of the Sun Yat Sen’s offspring to deal with the land grant fee for the land underlying the garden villa to be inherited, recently I have received the official reply from Shanghai Municipal Land Administration Department clarifying that where the title transfer is necessitated due to inheritance of garden villa on allocated land, if the applicant applies to continue using the allocated land, the land administration can agree to keep the land as allocated, and if the applicant applies to effect the land grant formalities, the land administration shall help with such formalities. Early October, Mr. Jason Tian is retained by Singaporean clients (a couple) to sell their high-end property in central downtown Shanghai, in the Xintiandi neighborhood. The property was bought almost five years ago, and now has increased in its value up to more than twenty millions RMB. We are in serious talk with one prospective buyer. Jason Tian will see to the whole process of the sale of the property from entering into letter of intent, to conclusion of real estate sale and purchase contract, to title transfer with local real estate transaction centre to repatriating sale proceeds back to Singapore. It seems that foreign owners of Chinese properties are seeing their good days of holding Chinese property numbered now. Probably, it is good time to cash in these properties and get the money out of China. Earlier than this entrustment, the clients have retained Mr. Tian in their dispute with an occupant of another property them in Shanghai. At the end of September, Mr. Jason Tian is now retained by one of the Sun Yat Sen’s offspring to handle an inheritance issue in Shanghai, China. The client together with his brothers are in the process of inheriting a villa property in Shanghai that was developed and constructed before the foundation of the People’s Republic of China. While everything is done and got in order, at the last minute of effecting title transfer of the property from their mother to them, they are required to pay the land grant fee for the land underlying the villa, and fee is millions of RMB. But clients doubt the legitimacy of such requirement and approached me for advice. Apparently, the requirement for paying the land grant fee is groundless in the case of title transfer because of inheritance. I am retained to question and quell the illegal request. Jason Tian is now retained by a western investment group to advise on the restructuring of their investment involving a typical VIE structure where a BVI company invests in and controls an onshore business entity located in Jiangsu Province near Shanghai via a Hong Kong investment vehicle that holds an absolute majority of the said onshore business entity. Meanwhile, the onshore company controls, by way of various contractual arrangements, another domestic company that holds those necessary licenses and permits that cannot be held by foreign invested companies. The restructuring involves new capitalization at the BVI entity and the proceeds thereof will be channelled via Hong Kong intermediary vehicle into the onshore company, and a reshuffle of management at HK and China levels. Jason Tian is now retained by the American family that are victimized in the high-speed train collision taking place on July 23, 2011. The parents of the family were killed in the tragedy and the elder son was seriously injured resulting in loss of a kedney and spleen and substantial impairment of one of his feet. Jason is retained to participate in the negotiation with the Ministry of Railway, and to represent the clients in the future legal proceeding. This case is now closely watched by both Chinese media with consience and international media that hopes to witness how the rule of law works in China. Jason Tian has just been retained by American clients for and in relation to their inheritance of the estate of their father who died recently. The estate in China is an apartment worth multi-million RMB. It is quite a complicated situation. The deceased left a will (not notarized in China) in which he bequeathed his interests in the apartment to his two daughters (my clients) from his prior marriage in United States. At the time of death, the deceased was marraied to a Chinese lady with whom he has a new born child. In addition, the deceased’s parents are still alive in USA. On July 23, 2012, Mr. Jason Tian has just been promoted to be a partner of the law firm’s Shanghai office, a strong recognition of his contribution to the law firm’s growth and reputation by bringing more foreign-related businesses into the firm and expanding client base to cover more foreign clients. 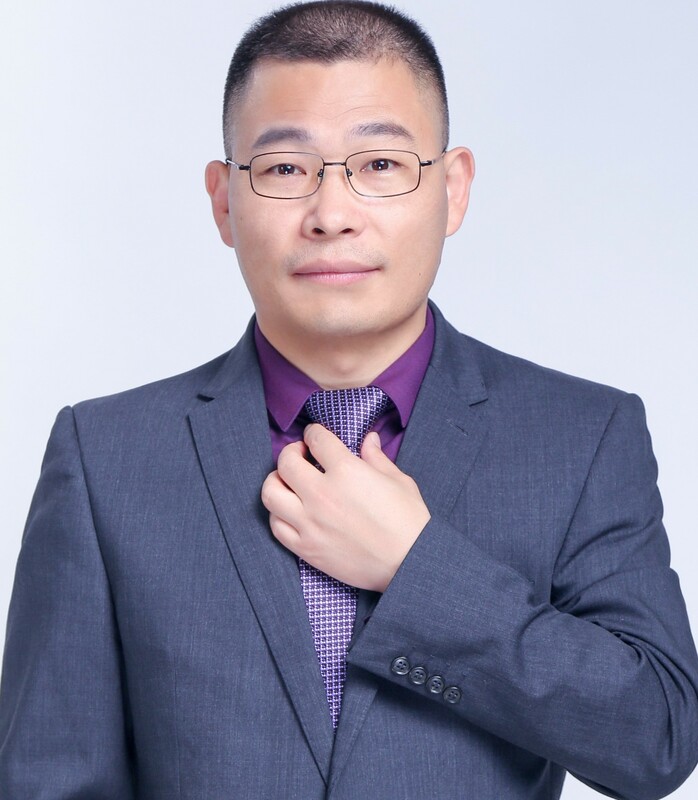 Jason Tian has helped quite a number of foreign clients that make business with and in China, esp in Shanghai, and his legal services largely focus on foreign direct investment, real estate, employment, inheritance, divorcing and dispute settlement by way of arbitration and litigation. In May, Jason Tian was retained as outside legal counsel to Slamball China Limited, the company which is missioned to promote the Slamball sports in China. Jason will help to safeguard the interests of SlamBall China Limited by offering legal services from the angle of Chinese laws. The services mainly cover review of daily operation legal documents used in its business, advice for special legal matters such as outwards investment, equity transfer and resolution of disputes with third parties. The annual legal fee is calculated based on discounted hourly rate.